APA's annual Stress in America survey results were released this week. Titled "Paying With Our Health," it highlights the interaction of financial problems, stress and health. The greatest levels of stress were reported by people with household incomes under $50,000, and by women, younger Americans, parents, and those with little or no emotional support. No surprise there. In general, these groups have more demands and uncertainties in their lives - hence greater propensity to feelig overwhelmed. Many survey respondents admitted that they often used unhealthy means to cope with stress, such as smoking and drinking alcohol, and that financial problems affected their ability to take care of their health. Also not surprising. The average layperson who learns of the findings is probably thinking, "OK, I already know that. But what can I do to reduce my stress?" As a mental health professional you can use the statistics and other documentation from Stress in America as a springboard to educate people about stress management. Since this survey is getting international media coverage, millions of people will hear about it and know that they're not alone in trying to cope. 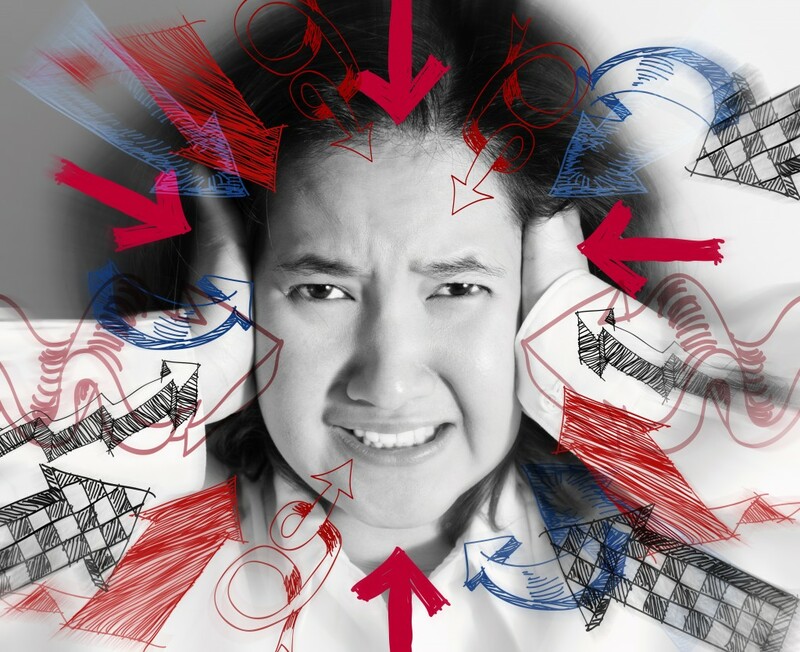 Thus, stress is a timely topic to address in your blog posts, articles, handouts, podcasts and presentations. So do it soon. Tailor your advice. To make your message especially relevant, customize it for a specific demographic group mentioned in the survey, such as young mothers. Use examples that they can relate to. Describe practical and simple coping strategies for their typical situations. Later you can write or present for a different demographic group, with examples and tips that are familiar to them. Contact your local news media. Many news stories are reporting the survey results, but give little advice beyond stating that professional help is available. You can take it one step further. Call your local news outlet and offer to be interviewed on ways to cope with stress. For added credibility, mention facts and statistics from the Stress in America survey. Your tips will be necessarily general, but you can couch them in specific examples, such as "When money is tight, and your child's birthday is coming up, you need not feel guilty if you can't afford the new electronic gadget he's been asking for. He may grumble, but it will not traumatize him." Why should I do all this? Consider it a public service. There's a lot of bad advice out there by uncredentialed self-titled "experts," some of it downright harmful. With your education and experience, you can provide sound information, based on research. Your writing, speaking and media interviews on mental health topics will help people better understand themselves and others. It's quite possible that your insights will even inspire some to make lasting, adaptive changes in their lives! You benefit as well. Although you may not get paid for your public education activities, you will become more visible in your community as a mental health expert. The more visible you are, the more likely that your name will come to mind when people are ready to seek help or to refer someone for help for mental health problems.